Spring means nicer weather, but a lot more rain too! If you don’t feel like putting on a raincoat and galoshes, stay occupied inside with these springy crafts. Are the tulips and daffodils blooming yet? 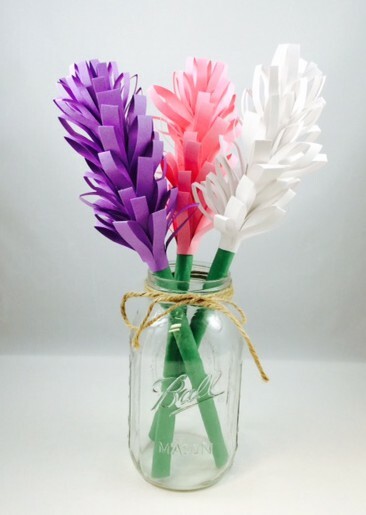 If you’re in a hurry for a fresh bouquet, try this gorgeous paper craft. Use up construction paper you have laying around or even scrapbook or wrapping paper for a funkier look. The mason jar vase is always a great idea that fits into most décor, but you could always place these finished faux flowers into another style container too. Mother’s Day isn’t until May, but you could give your kids this idea early so they can get busy making something special for Mom beforehand. Another idea would be to make a bunch of these flowers and attach them to a wreath. Just make sure to hang it in a dry place! These string butterflies make our hearts flutter with love! With such simple crafting supplies, you can make something totally refreshing and beautiful. If you’re planning on making the paper flowers above, give them some pollinators to go with it. Since this craft doesn’t involve any messy paint or sharp objects, it’s safe for your kids to make and fun too. 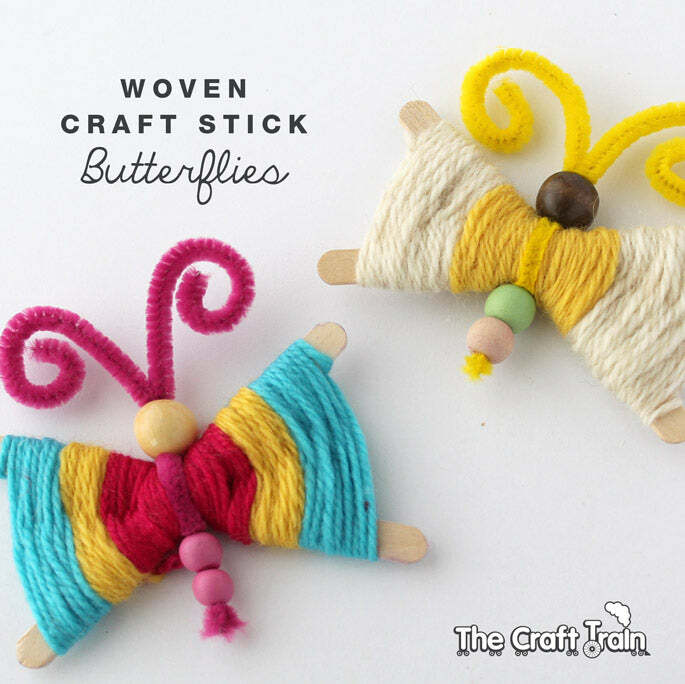 Gather yarn in your favorite colors, beads, pipe cleaners, popsicle sticks, and some glue and your imagination will be ready to take flight. Pallet crafts are much like mason jars in that they never get old and there are so many different crafting ideas you can do with them! 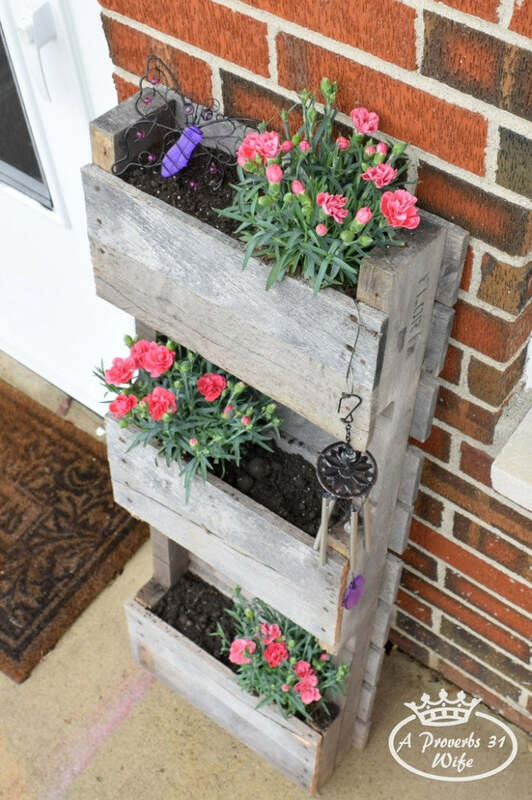 This pallet planter is the perfect rainy day craft to do in the springtime since things will be able to start sprouting in the warmer temperatures outside. Construct the pallet planter inside and then take it out to the garage or back yard to load in the dirt and plants. If it’s raining, that’s even better because it’ll do the watering for you! Set this planter by your front door or in a sunny spot out back and watch your creativity bloom all season. A walk around the neighborhood should produce a lot of twig gathering success. Have your kids go along with you to the local woods, on a walk through your neighborhood, or to your back yard to track down a few handfuls of thin twigs. You’ll want to let them dry out on a piece of newsprint for a few days if they’re wet, but if they’re nice and dry you can get started crafting right away. 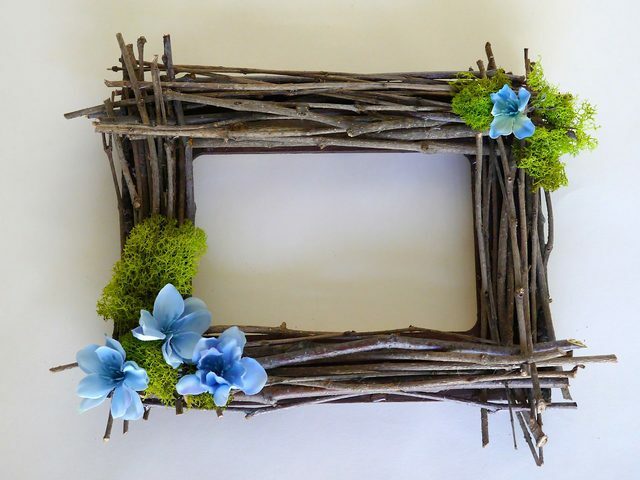 Either use an old frame as a skeleton for your twig masterpiece or start glueing them together in rows. Pick out some faux flowers and fauna from your local craft store for the corners and even some twine or ribbon if you’d like and then you’ll be ready to hang this beauty on the wall. Paper flowers are so versatile. These ones could serve as wall hangings in your home or even as a wreath for your front door! They’re super simple to make too. Just get some colorful paper and tape and roll up a piece of paper into a cone. Once you have several dozen done, you can start assembling these flowers. The finished product is something that will add cheer and a long-lasting decorative piece to your home. These are also wonderful decorations for a candy buffet. Whether you’re a teacher or a busy parent, giving your kids something to do inside when the weather is dreary outside is important to your mental state! Have all of your kids tell you what their favorite flower is. If they don’t like flowers, ask them what bug is the coolest to them. 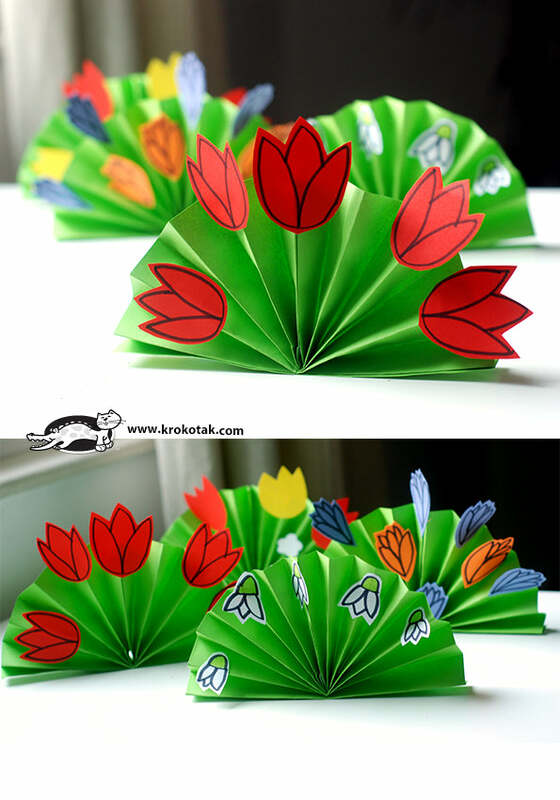 Then, have everyone fold a piece of paper into a fan shape and glue their flowers or bugs to it. You can add character with flower or bug-shaped candy too. Use a bit of tape on the bottom to help it stand straight upon every kids’ desk or tape them straight to the refrigerator. You’ll be able to watch a lot of smiles grow while the little ones are making this fun craft. 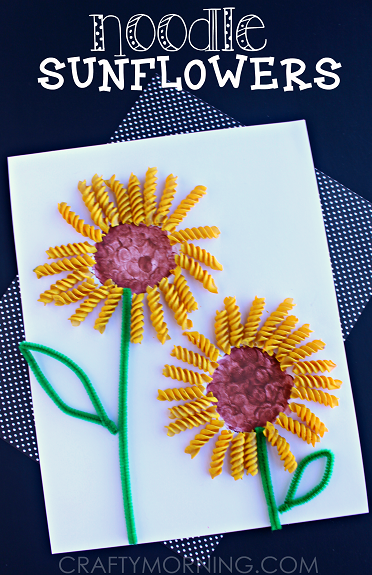 Dried pasta crafts are so cheap to make and fun to do! These rotini sunflowers are no exception. Since summertime flowers are still a few months away, plant your own indoors by making this cute craft. Set out a box of pasta and glue as well as green pipe cleaners, paper, and some markers. 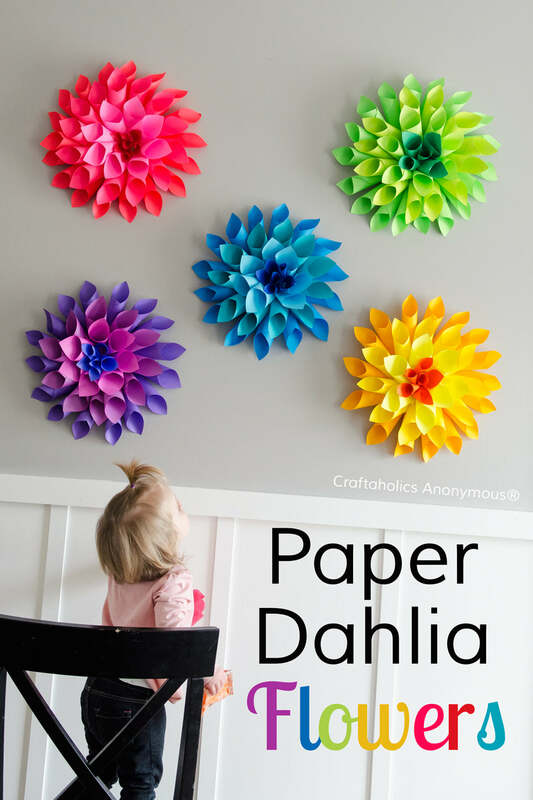 Your kids can go wild making sunflowers and you can relax for a bit while they have creative fun. This is also a great craft to try if you want to make homemade cards for springtime birthdays or even Mother’s Day that’s coming up in May. The incredible edible egg is now even more wondrous. 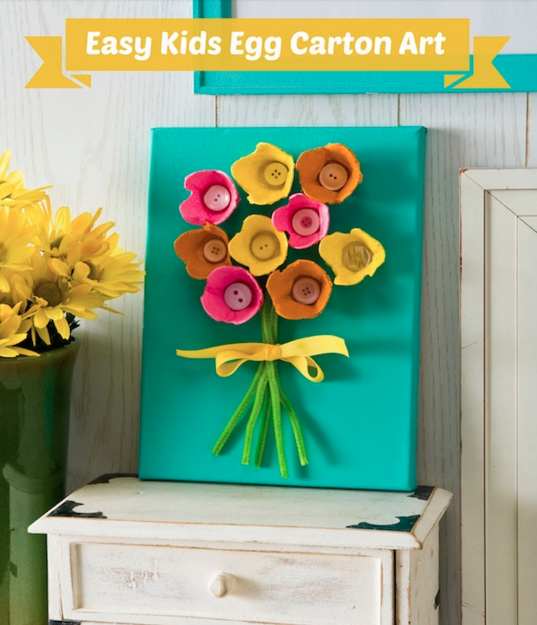 You can turn egg cartons into works of art! Let the older kids do the cutting or just use safety scissors so no one gets hurt and cut out the rounded part of the carton. This is what you’ll use as the “flowers” of this artwork. Then, gather some buttons and paint and get busy turning plain gray cartons into vibrant blooms. Once everything is dry, glue the cartons to a piece of canvas or board and glue a button in the middle of each one. Either paint on a stem and leaves or use pipe cleaners like this person did for more of a 3D look! These little lambs are so adorable. They’re also fun and easy to make! Shop for cotton balls, foam balls, black felt, googly eyes, and popsicle sticks (or as this person used, cardboard). You’ll want to glue cotton balls to one bigger round foam ball and then use one more smaller one for the head. Make a sheep for every person in your family or just a bunch if your kids would like to play with them or keep them in their rooms. Don’t be sheepish. There’s no “baaaaaad” way to do it! Who has kids who like to get their hands dirty? Finger paintings is one of those interactive learning activities that children especially love. 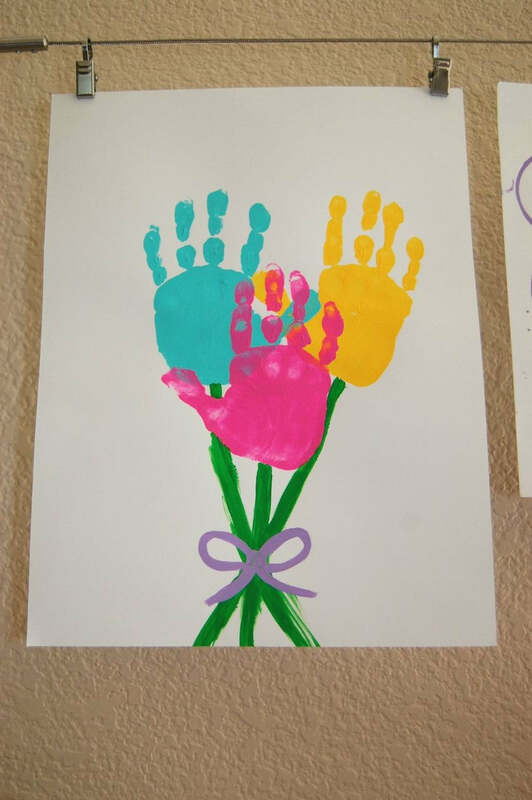 Have them turn what’s normally a mess into a work of springtime art with these handprint bouquets. Either have every child in your home and yourself stamp their hand in your favorite paint color and make a “family” bouquet or let everyone make their own. This is a great piece to frame since it’ll capture a memory and childhood moment forever. The days are getting longer and hopefully it’s getting sunnier and warmer where you live too. 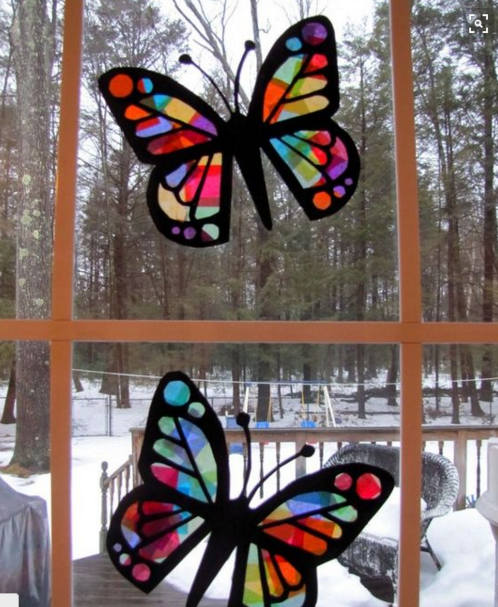 These window butterflies will cast a bright light into your home and a kaleidoscope of colors too. They’re a little more advanced, but you could easily get a stencil or print a butterfly off of the computer to trace. Use up leftover tissue paper from Easter and Christmas and overlap colors to make a beautiful contrast. Make a mobile to catch more light or just put one in the window to remind yourself that spring is here. 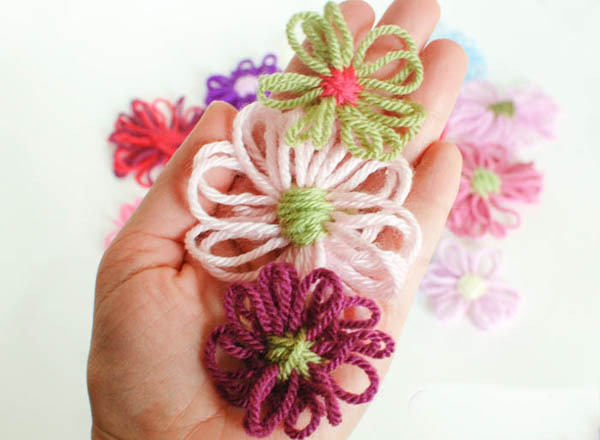 Here’s another craft that will totally entangle you with fun and beauty. If you’re a crocheter or knitter, you’ll have a leg-up on this one. If not, it’s really just a simple knot here and there until you come out with pretty yarn flowers. Turn these into pins for hats or coats or even sew them onto a light sweater. You could even glue them to the front of a card, make a piece of wall art, or create a cute and whimsical hair accessory. This really is a great way to use up leftover yard bits and keep your kids busy on a rainy spring day. Have some plants in the house or outside that you’re starting from seed? These daffodil sticks would make the perfect plant marker (if they don’t get rained on) for your seedlings. Cut out yellow paper in the shape of petals and use a cupcake liner for the center. 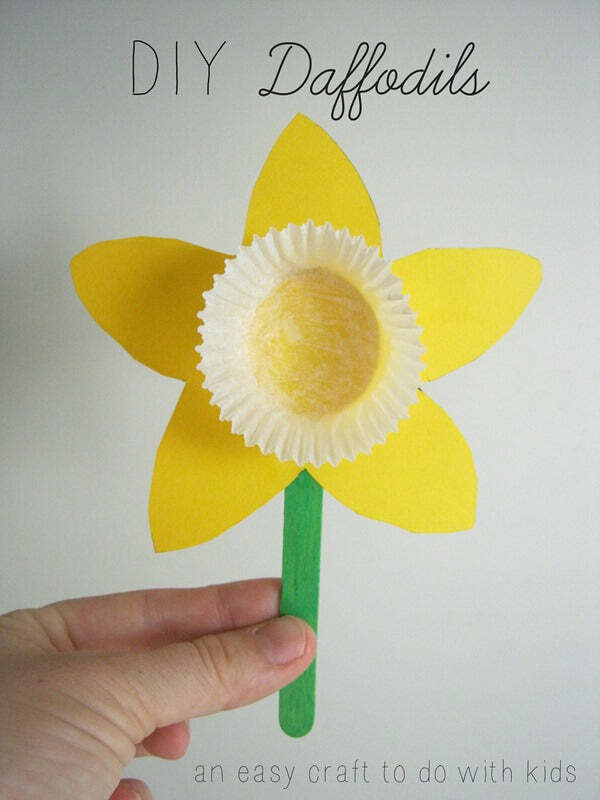 After painting a popsicle stick green, you can assemble the daffodil with a little glue or tape. They’re a really quick craft so you can make a ton to put in your garden or use as a magnet on the fridge. Craft time can be a messy time. 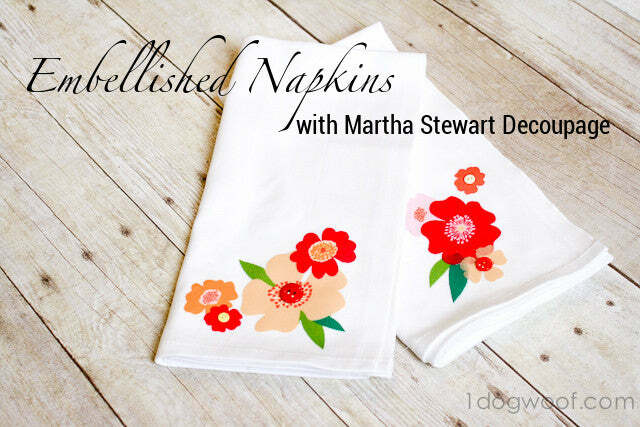 Clean up nice afterwards with these flower napkins! You can buy iron-on transfers, paint these flowers with fabric paint, or embroider them if you’re really feeling crafty. Martha used buttons and a decoupage technique so you can follow her lead or do as we suggested above. Save these for a dinner party this spring or summer and set the table with an adorable and cheerful element your guests will adore.